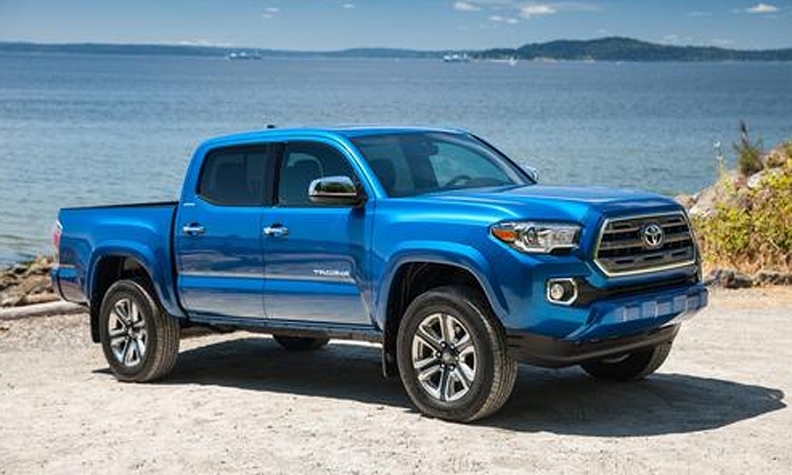 Toyota Motor Canada is recalling about 15,000 2016 and 2017 Toyota Tacoma midsize pickups because their rear differentials may leak oil. It’s part of a larger recall in which Toyota Motor Corp. is also recalling 228,000 units for the same problem in the U.S. Differentials leaking oil could become damaged and stop working, causing a loss of vehicle control, Toyota said in a statement Thursday. Damaged rear differentials also create noise and reduce propulsion if the vehicle is driven without being repaired. Toyota Canada didn’t report any specific complaints from the public, but the U.S. National Highway Traffic Safety Administration recalls page includes a complaint a driver from Honolulu who said on Dec. 18, 2015, that the differential on the his or her 2016 Tacoma needed to be replaced at less than 10,000 miles because of the noise -- which worsened over time. The driver’s service records said “silver shavings” were found in the differential, which continued to make the noise after being replaced. Owners of the affected vehicles will be notified by first-class mail starting in mid-June, Toyota Canada said. Toyota dealerships will check the recalled vehicles’ rear differentials for oil leaks. If a leak is found, the rear differential carrier gasket and fasteners will be replaced. If the differential is damaged, the entire rear differential carrier assembly will be replaced. Fasteners will still be retightened if no leak is found. It is unknown if any injuries or crashes are related to the recall. Stephanie Hernandez McGavin and Greg Layson contributed to this report.